I'm Swathi and i am suffering from a severe muscular disorder called Muscle Dystrophy. Life became much harder after i lost my father in 2005. He was the strength to our whole family. I have a mentally and physically disabled sister whom i have to look after. However this disease is taking over me and i'm not able to stand up for my family. My mother is a daily wage earner who works in a restaurant. My mother has worked hard enough to educate me till my degree but then my health took a toll. I was diagnosed with Muscular dystrophy. I had to quit my job. As my condition progresses, it becomes harder to move. Sometimes it affects my breathing and heart function, leading to life-threatening complications. I'm unable to walk properly and is always in pain. I need to undergo treatment in order to be able to walk again and lead a normal life. 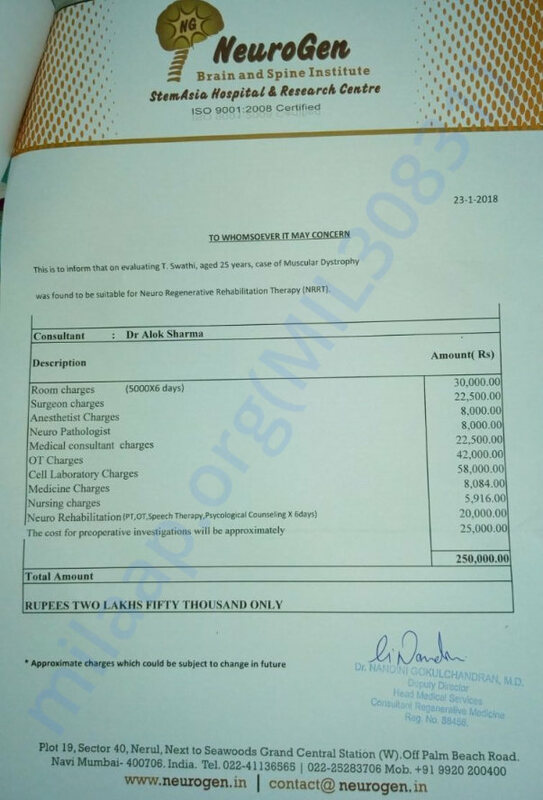 The total cost of treament is around 250000 Rs. Unfortunately, i do not have the funds to afford this treatment and need your help to get better and stand up for my family. 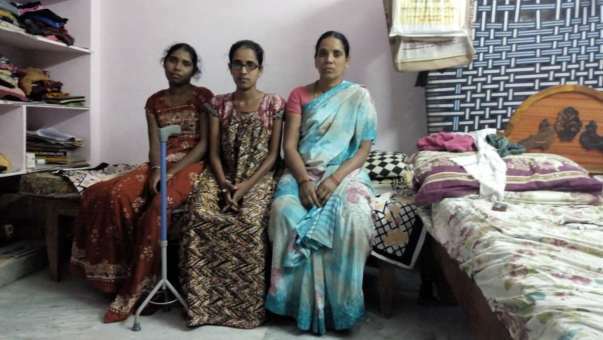 There has been no improvement in Swathi's health so far. She is at home and under medication. 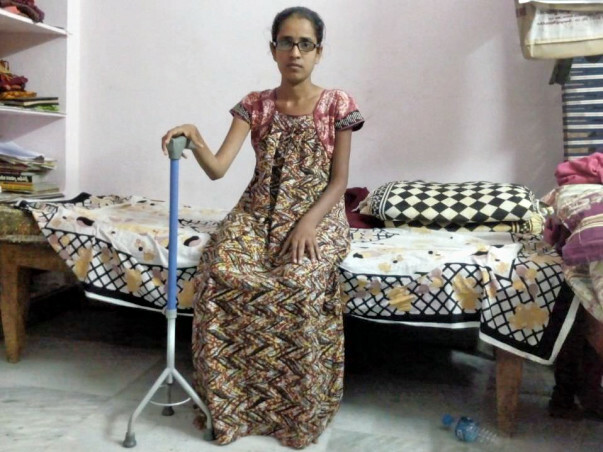 Doctors have suggested that her treatment and medication will go on for an year. 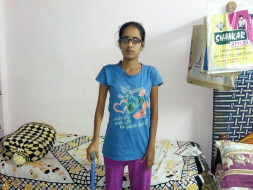 As of now, she is unable to walk and make movements without assistance.